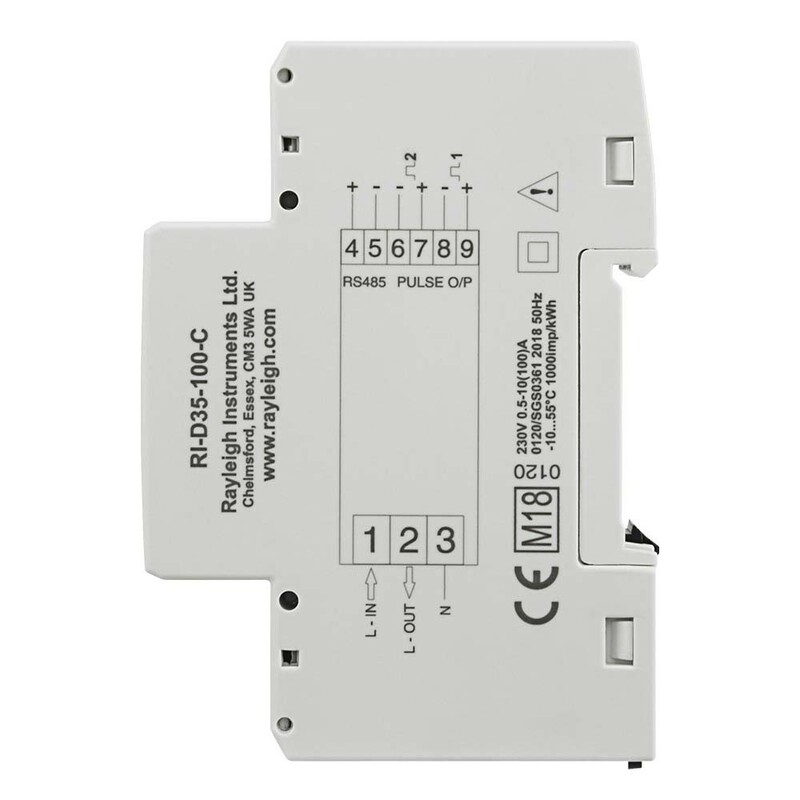 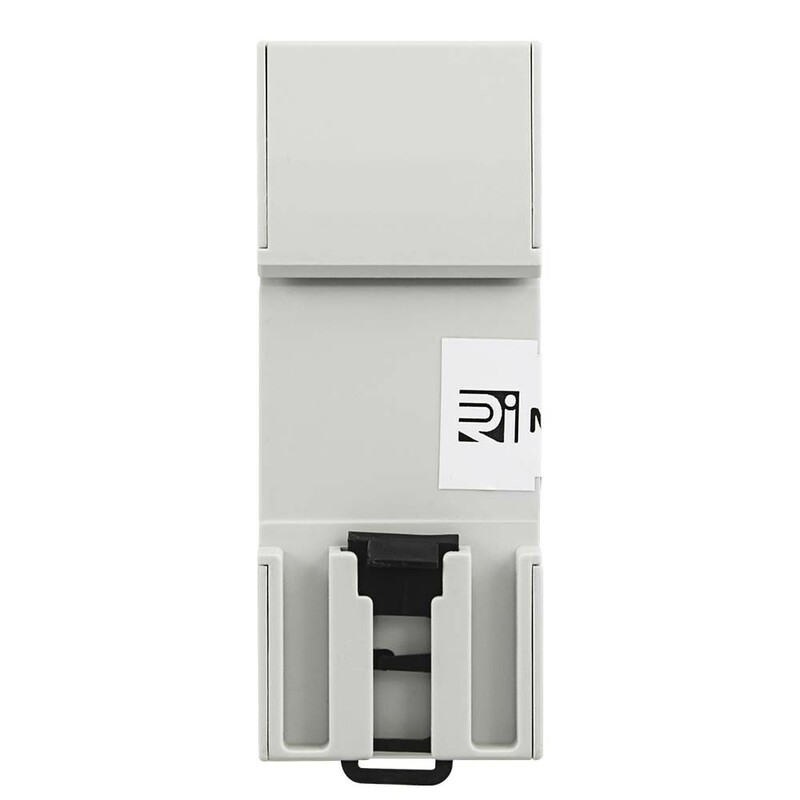 The RI-D35-100 series is a range of single phase multifunction DIN rail MID approved energy meters. 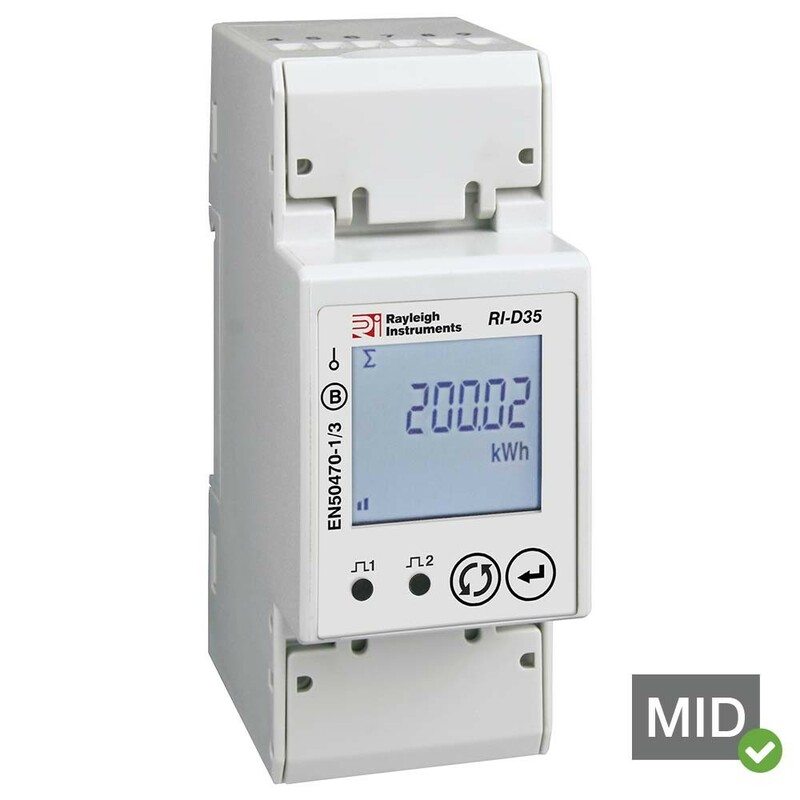 Suitable for monitoring energy consumption in residential, solar PV, industrial and utility applications. All models are MID approved (B and D) and may be used for billing purposes. 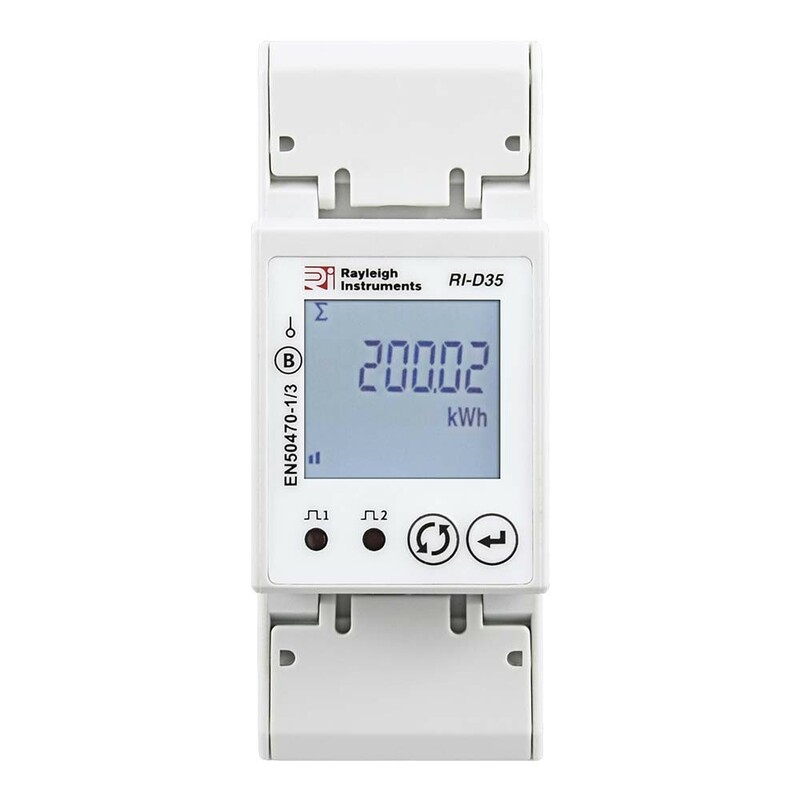 A high efficiency white backlit LCD display provides a clear indication of measured values in all light conditions. 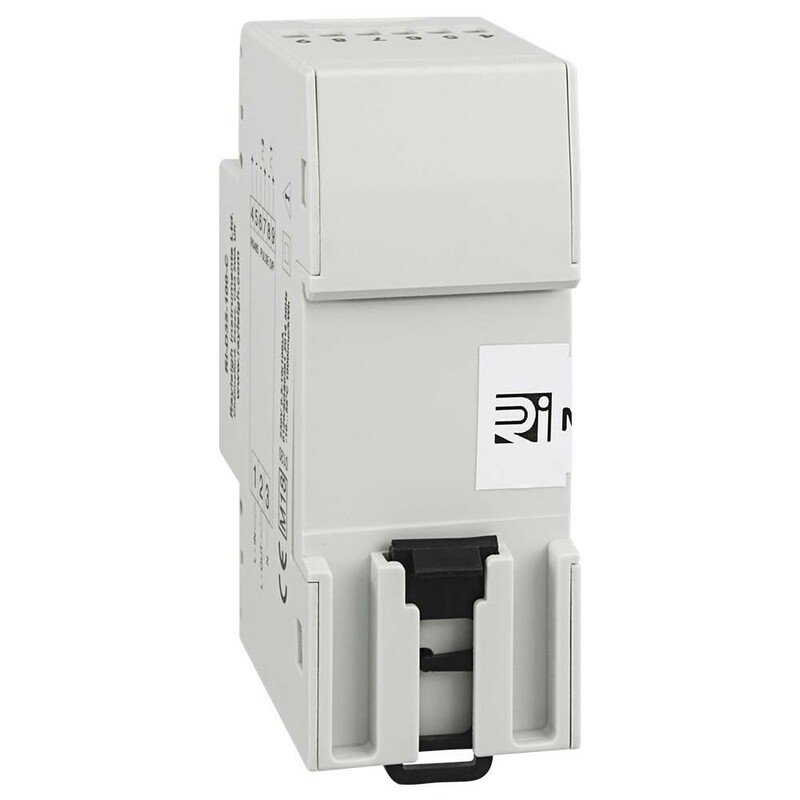 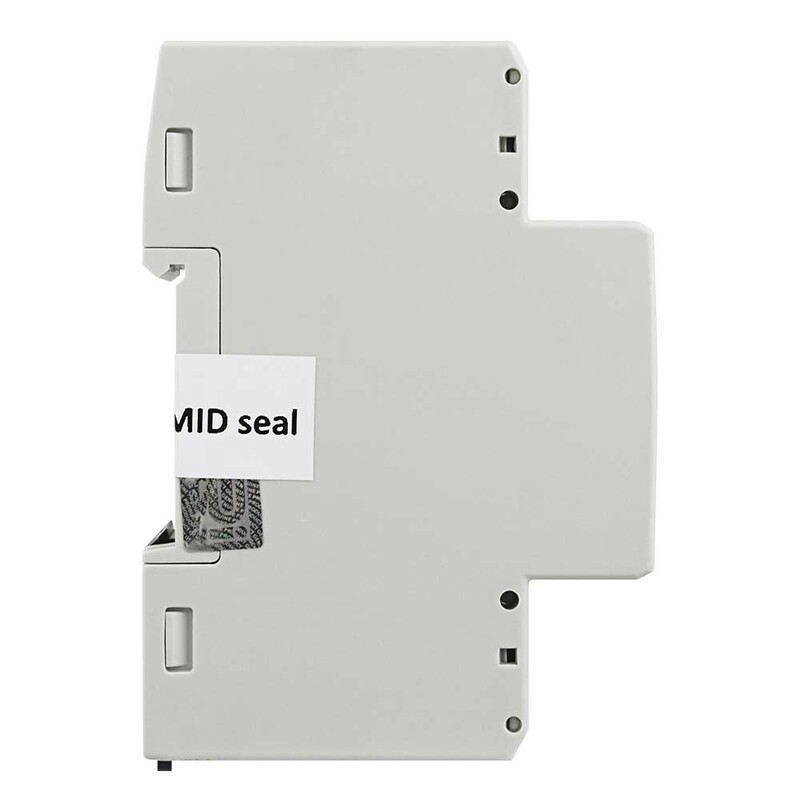 The unit is housed in a compact two module width case suitable for 35mm DIN rail mounting.